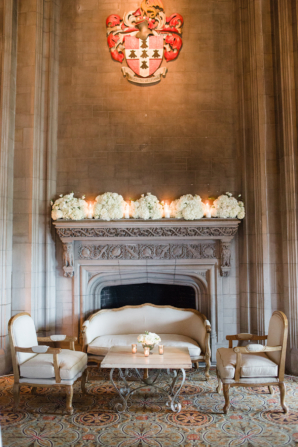 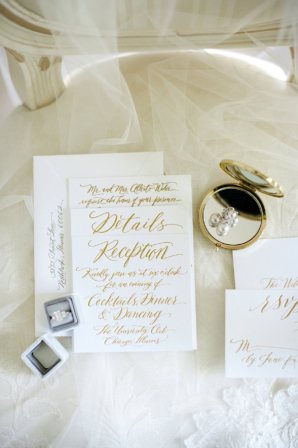 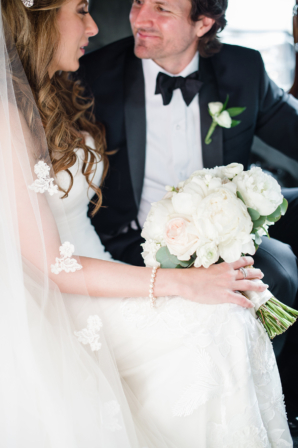 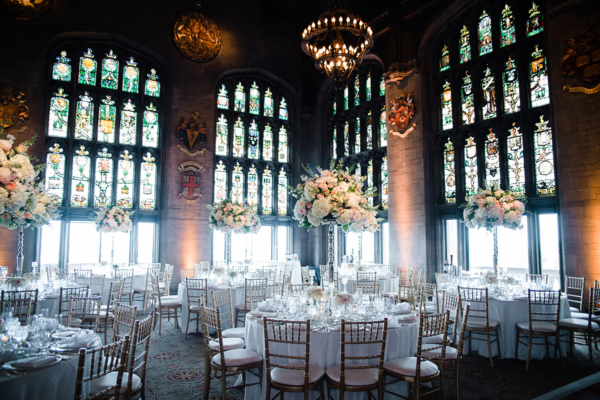 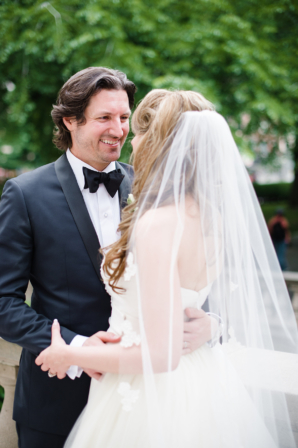 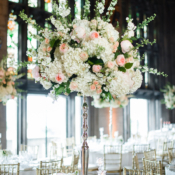 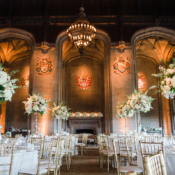 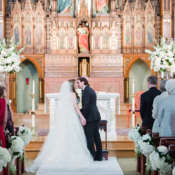 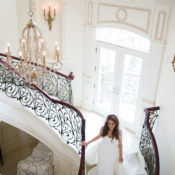 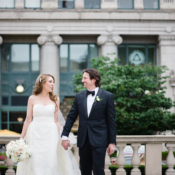 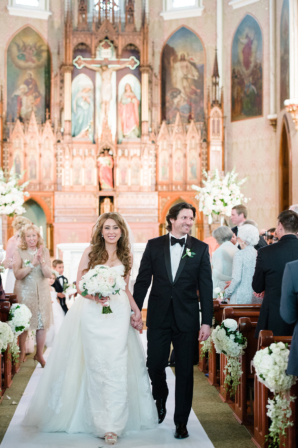 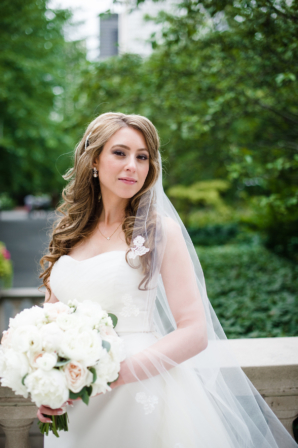 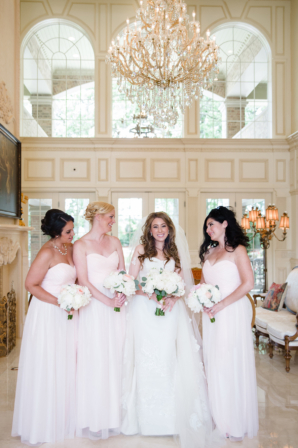 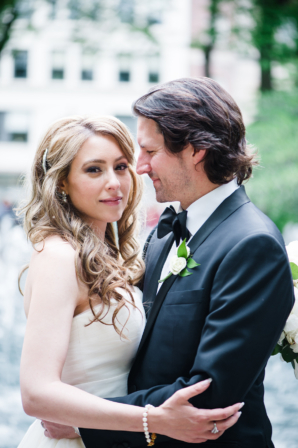 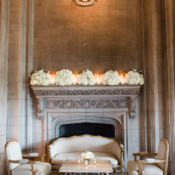 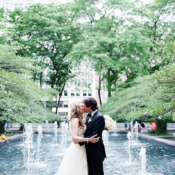 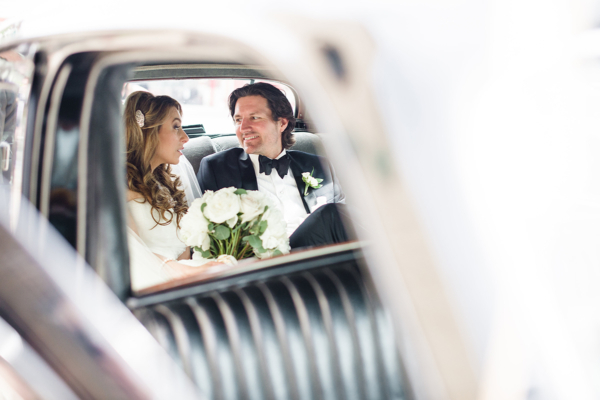 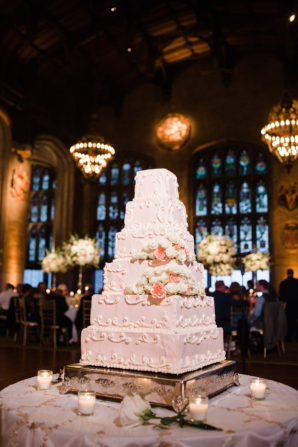 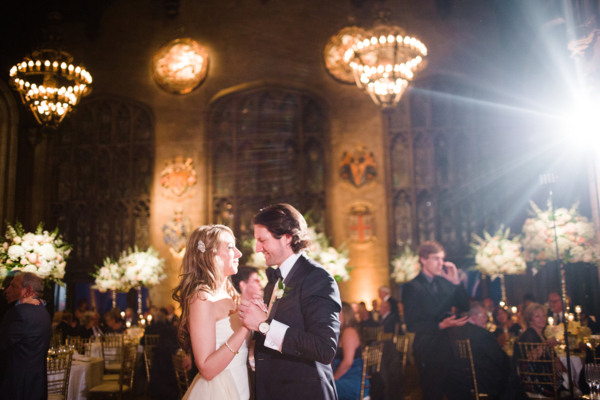 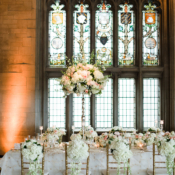 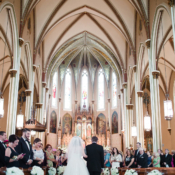 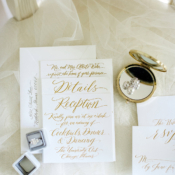 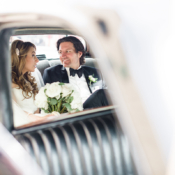 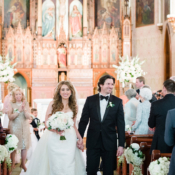 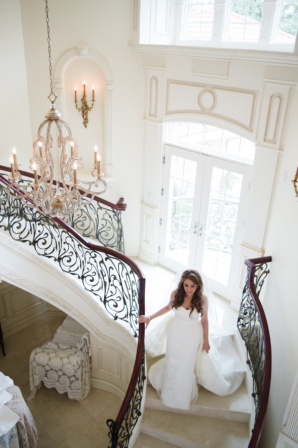 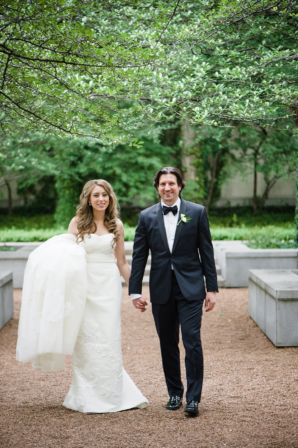 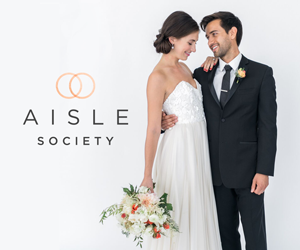 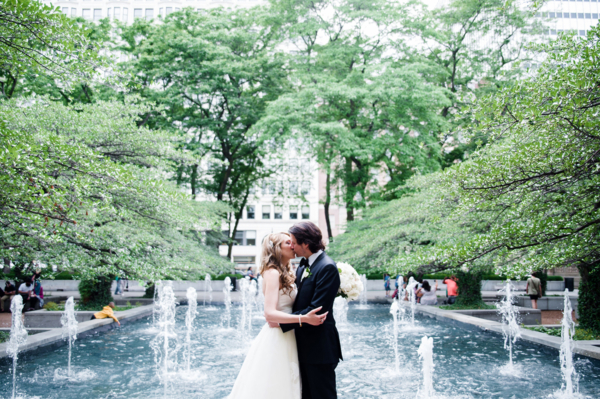 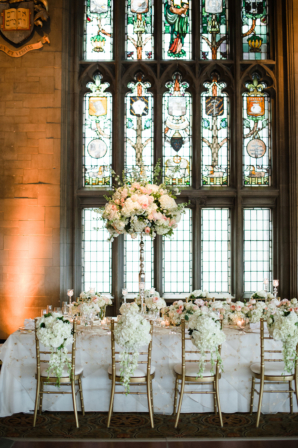 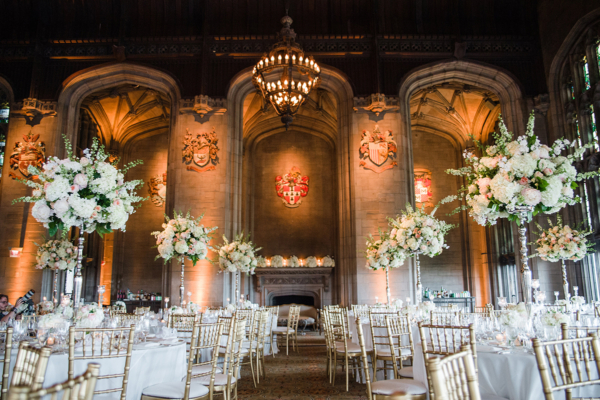 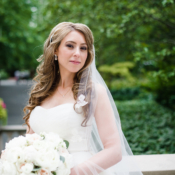 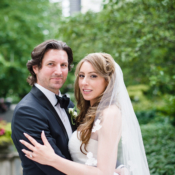 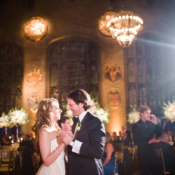 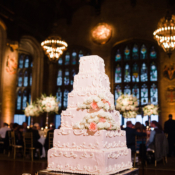 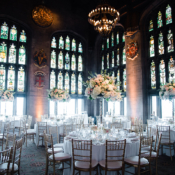 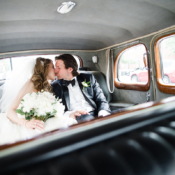 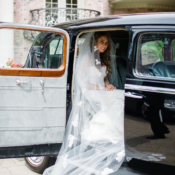 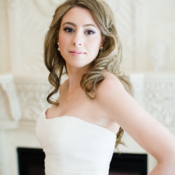 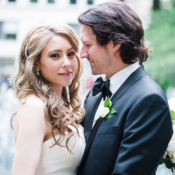 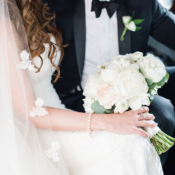 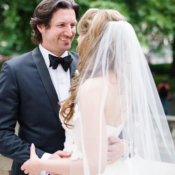 Chicago’s University Club is one of the most spectacular settings in the city, and Adriana and Stephen’s wedding made its beauty shine even brighter. 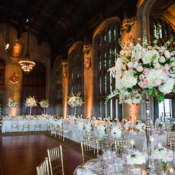 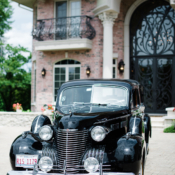 LK Events and Exquisite Designs worked with the couple to create a romantic and cozy ambiance in the stately ballroom. 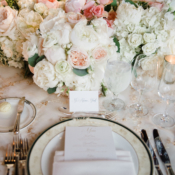 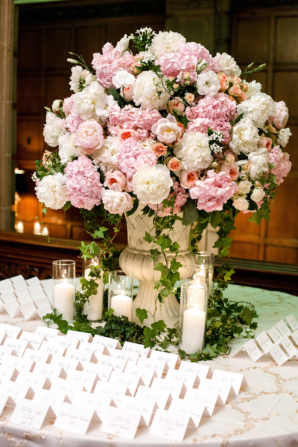 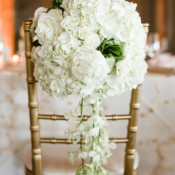 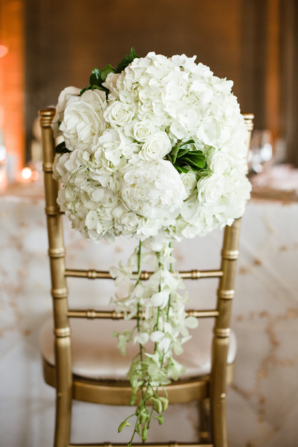 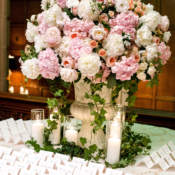 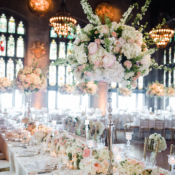 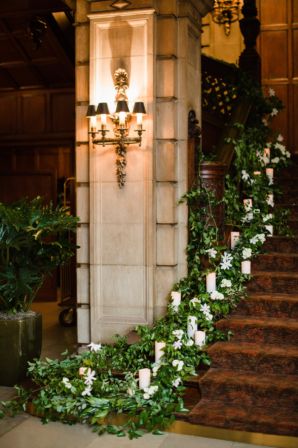 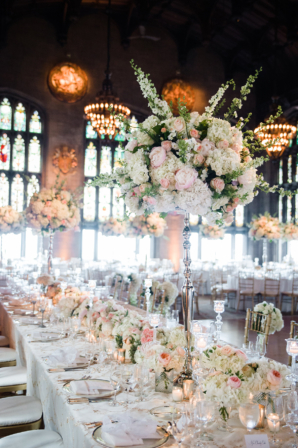 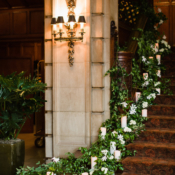 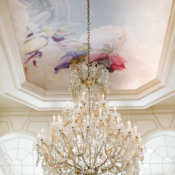 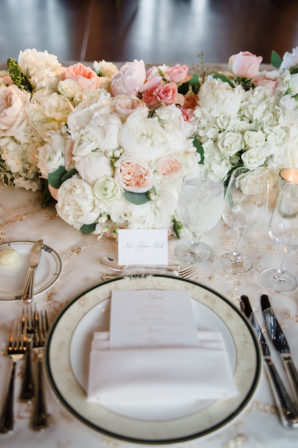 The majestic florals by Exquisite Designs featured roses, hydrangea, and peonies in a mix of low and high arrangements and a sea of candles – each tabletop its own work of art. 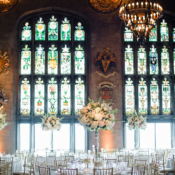 Dramatic lighting by Frost accented the University Club’s incredible stained glass windows, and Adriana says “When we walked into the reception (to the song Pony by Ginuwine) you could smell the flowers and the sun was still streaming into the room showing off the stained glass.” From their sweet first look to the afterparty on the roof deck underneath the city lights, each unforgettable moment was captured beautifully by Amanda Megan Miller!